American Airlines and its Pacific joint business partner Japan Airlines have said they will operate a special nonstop flight between Narita International Airport in Tokyo and Las Vegas McCarran International Airport to support additional demand for CES® 2019. American will operate the flight Jan. 4–14, 2019. 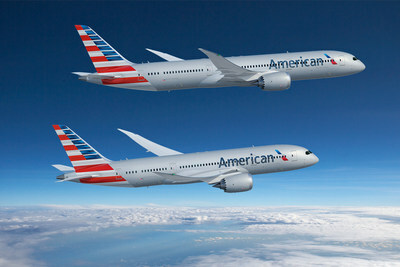 This special service will be flown on American’s Boeing 787-8 and will be marketed by Japan Airlines. For the 10-day period, American’s service between NRT and Chicago O’Hare International Airport (ORD) will operate through LAS. JAL will continue to offer nonstop service between NRT and ORD during the same period. The 787-8's are configured in a two-class cabin arrangement, 28 lie-flat seats with direct aisle access in business class and 55 main cabin extra seats and 143 main cabin seats in economy. All seats have the new touchscreen seatback monitors for the impressive in-flight entertainment package and wifi access. “Travellers in Asia are discerning, wanting the best schedule on the best aircraft,” said Noboru Hirai, vice president of International Passenger Sales & Planning for JAL. “This special service allows us to do that, while closely working with American to tailor it to the needs of Japanese customers.”.